Today, we are happy to announce that you can enable customers to view live video feeds from their smart home cameras on Echo Show with the Smart Home Skill API. Customers can say, “Alexa, show the front door” and have the feed from an Internet connected camera like Arlo or Ring display on Echo Show. We first announced camera control on May 9, 2017. 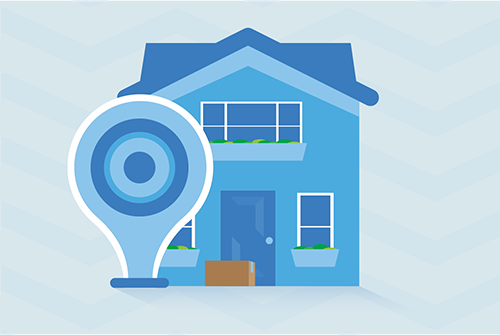 Today, the capability is available to all developers building smart home skills in the US. You can now use the Smart Home Skill API to show live streams from smart home cameras. Because the Smart Home Skill API taps into Amazon’s standardized Alexa language model, you won’t need to build the voice interaction model for your camera skill. Alexa will understand the customer’s speech, convert it to a directive, and send that directive to your skill adapter. Your skill adapter will return the video feed URI from the requested camera. The URI is then passed to the Echo Show device so it can directly display the video. Companies like Ring, Arlo, Nest, August, EZViz, Vivint, Amcrest, Logitech, and IC Realtime have already created Alexa skills leveraging the new cameras capability. Ring makes smart video doorbells and outdoor security cameras that stream live audio and video to customers’ smartphones, allowing customers to always keep tabs on their home. With its new skill for Alexa, customers can see and answer the door or pull up the video from their security cameras’ feed hands-free using Echo Show. And Arlo by NETGEAR, which makes wireless smart security cameras, built an Alexa skill to enable customers to simply ask for a live view of any of their cameras. With the new cameras capability, customers can easily access the feed coming from their compatible camera and ask to view the camera. Now, customers can say things like: “Alexa, show me the front door camera,” when they hear someone knocking, or “Alexa, show me the baby’s room,” to make sure the little one has fallen asleep. As a skill developer, when your smart home skill receives a camera stream request, you should respond with a URL to the active feed, and a URI to an image that can display while the feed loads. In addition, there are some security and performance requirements for the camera feeds, so you should review the Requirements for Smart Home Cameras before starting your implementation. The Alexa Skills Kit (ASK) enables developers to build capabilities, called skills, for Alexa. ASK is a collection of self-service APIs, documentation, tools, and code samples that make it fast and easy for anyone to add skills to Alexa. Developers have built more than 13,000 skills with ASK. Explore the stories behind some of these innovations, then start building your own skill. Once you publish your skill, apply to receive a free Echo Dot. This promotion is available in the US only. Check out our promotions in the UK, Germany, and India.